The past few posts have been about recognizing our sponsors for our big Giveaway for the Mother’s Day Campaign, and letting you know about the amazing gifts that will be given at the end of the campaign. Yesterday I featured the Memorial Baby Book from Nora’s Nooks Gifts, and previously we have featured CarlyMarie’s beautiful butterflies, and the Signature Muchness Necklace. Today, we’re talking books. Free books are my favorite kind of books! We have a variety of books. Three are about loss and dealing with loss. One is a collection of stories of friendship, and one, a memoir. A fascinating memoir. We are thankful to the authors for donating these books for the giveaway in conjunction with our Mother’s Day Campaign. 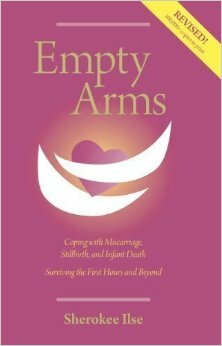 The Classic book, Empty Arms (English and Spanish) is a comprehensive, concise, and calming guide; the first written material a newly bereaved parent should turn to. Unique and encouraging, it reaches out to all who have been touched by stillbirth/infant death or miscarriage. Family members and caregivers will find information to help them personally and to better understand and support the parents at the time and over time. This self-help small book/large brochure offers compassionate and specific guidance in how to say hello and goodbye to a beloved baby. It also presents the many feelings, challenges, and needs that come after weeks, months, and even years. Regrets are sadly all too common, making grieving difficult. This book helps parents minimize those regrets and work towards healthy healing. You can learn more about Sherokee Ilse at her website: Babies Remembered. 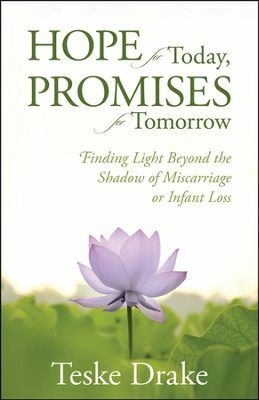 Written from the perspective of one grieving mommy to another, Hope for Today, Promises for Tomorrow is a ten-week study that will encourage and challenge women to delve into a deeper understanding of God’s Word. As women engage in biblical teaching, they will learn to embrace God’s promises of love, goodness, purpose, comfort, peace, refinement, restoration, hope, and eternity. “Hope for Today” verses peppered throughout each chapter, journaling cues, prayers, and the stories of other women who have experienced loss will help readers move from grieving in silent solitude to living life in the richness of God’s love. The bonds of women’s friendship can be more intimate than marriage, and just as essential to emotional health. From the childhood friend who broke your heart to the college roommate who witnessed you at your highest and lowest, from the lost friendship that ended bitterly to the devoted companion who is still in your life, from the bond that was forged due to shared grief to the shaky connection born with new motherhood, all women have stories to tell about their friendships. 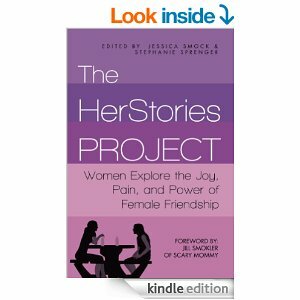 The HerStories Project: Women Explore the Joy, Pain, and Power of Female Friendship is a collection of essays from over 50 women writers, encompassing tales of friendship from the sandbox to the inbox.The book includes a foreword from Jill Smokler of Scary Mommy and several chapters on understanding friendship from friendship experts Shasta Nelson and Carlin Flora. In this book, you will read stories of childhood friendship, relationships between sisters, mothers, and daughters, grown-up friendships–both real life and online– friendships during motherhood, and stories of friendship break-ups and losses. Whether you identify with the new mother who struggles with loneliness, the woman who looks forward to her social media notifications, the challenging and complex relationship of sisters, or the stories of friends that have drifted apart, you will recognize yourself somewhere in the pages of this book. Learn more about the HerStories Project! This is an amazing book. Truly. I am going to do my own review on it soon. 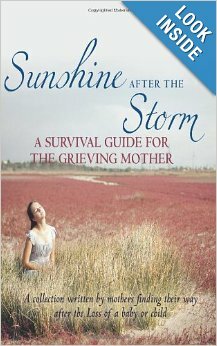 Jennie is an amazing writer, and a friend, and a contributor to Sunshine After the Storm: A Survival Guide for the Grieving Mother. Her story is so riveting, I could not put it down. 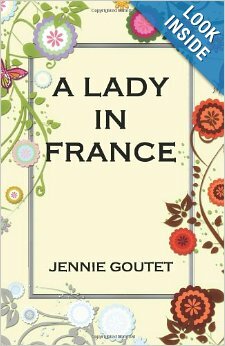 Learn more about Jennie at her blog A Lady in France. There are few books that address the weight of guilt and shame that a grieving mother carries with her after the loss of her child. The deep feeling of failure that accompanies child loss can be heart, mind and soul crippling. Reengaging in life after loss and attempting to find a sliver of hope again is an on-going battle– one no bereaved mother should travel alone. No matter the age or cause of death, no matter the story, this book is for you, sweet mama. It’s the book you can reach for in the middle of the night, when you feel like no one understands your pain. It’s the book you can carry with you anywhere and everywhere, to give you a lift of hope, a sliver of light in the darkness. It’s a balm for your broken heart, a comfort for your aching soul. It’s an elixir to combat that feeling of failure, a way to lift your heart and soul, again and again, whenever it needs to be lifted with some gentle, loving encouragement from someone who knows. It’s a way to replace the insidious lies with a truth that will resonate with all your broken pieces, a truth that will settle deep into every crevice of your being. Whether today, or years from now, some day, some how, I hope you know what I know to be true: you truly are the mother of all mothers– a warrior mama through and through. This book will be available in May. A compelling read from start to finish, this supportive guide to navigating pregnancy and infant loss will arm you with life-changing tools that will help you feel part of a dynamic community. The complexities of pregnancy and infant loss are explored by survivors themselves rendering this must-read book a first hand personal narrative that invites people to feel less alone in the aftermath of such devastating experiences. Grief knows no timeline and this thoughtful book does an exceptional job of explicating ways that society could more sensitively embody this concept by normalizing the spectrum of mourning. Profound losses create seismic changes in self-image, relationships, and overall identity. Many women blame themselves for their reproductive hardships and harbor monumental shame as a result. Contributors delve into crevices of their minds and hearts and courageously express the complexities of their processes- journeys that should be shared and not silenced, providing enlivening inspiration and raw accounts of how life perspectives are invariably altered in the wake of loss. This accessible guide provides valuable tips and resources for grieving families which serve as a grounding way to acknowledge the pain, ease the grief, and explore pockets of hope. A vital resource for anyone who has experienced these kinds of losses and those who love them. Find out more about this book at Sunshine After the Storm. You can win one of these books by entering our special Mother’s Day Giveaway. All we ask is a $5 donation to our Campaign to raise money to donate copies of the book, Sunshine After the Storm: A Survival Guide to the Grieving Mother for Bereaved Mother’s Day. Since we self published the book, we are able to purchase the books at cost, significantly reducing the cost of providing the book. It costs between $6-8 for us to donate each copy. We have already donated over 50 copies of the book. 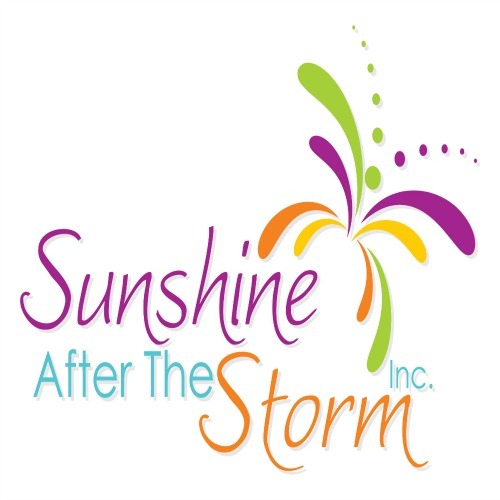 Sunshine After the Storm, Inc.